I have no information regarding the company. They make soaps complimented with pairing aftershaves, and most of them are based in classic or well known fragrances. This one is based on the famous Terre D'Hermes. I place two older SOTDs pictures to see the bottle. There are two types of bottles I reckon. Maybe for different markets? back label: Alcohol denat, water, fragance, menthol, citral, citronellol, hexyl cinnamal, hydroxycitronellal, lilal, limonelle, linalool. The state on their website that labeling may be adapted to fulfill the requirements of different regions, like UE, so maybe it is the same in Oz, or they just label everything to sell abroad in the same way (they are from the U.S.A.). The compounds that appear on the back label make me think that they may be related to the fragrance composition. First impression: as you open the bottle you get a shot of alcohol with orange skin (zest in english? ), but I wasn't sure if I was either in front of an after-shave, or in front of an infusion, orange scented, strong tequila/distillate alcohol for drinking xD. I really liked it from scratch. On the face: you get a punch from the alcohol and menthol, certainly not very strong or lasting, and it leaves with a nice scent. Because of this, and it composition, not including good stuff that feed the skin and help it like witch hazel, calendula etc, it may not the best option for dry/delicate skins. Scent: based on the popular (and awarded) Terre D'Hermes. Darkish, orange skin is the most I got from it. People may like it or not, but I have got a few compliments thanks of it. 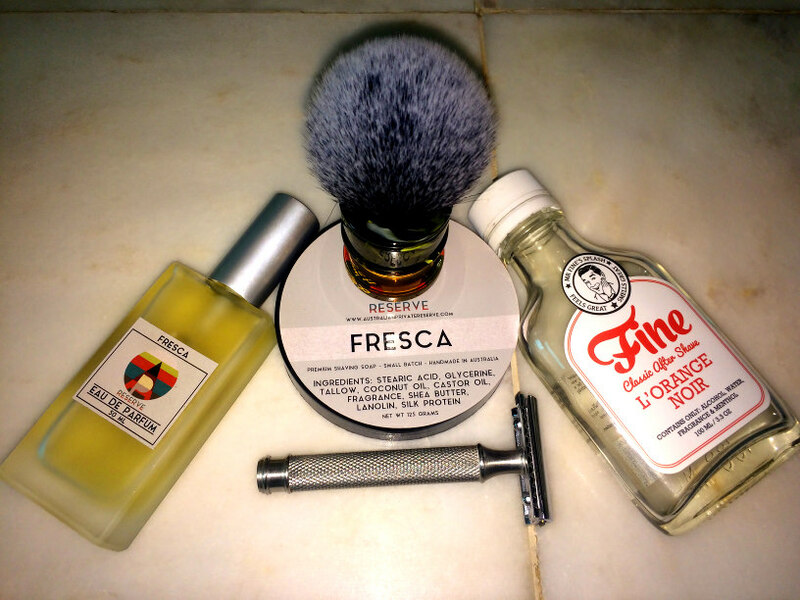 Pairing: Any citrus/orangish, barbershop, soft scented soaps.... fine manufacture both soaps and splash, but when you see a bit of the global picture of SOTDs, fine splashes are seen more often than the soaps, so in general that may mean that they are good matchers. summary: I am not sure if I will get a replacement, probably not. Not because I don;t like it but if I go fine, I would try different ones (next maybe italian citrus), but I wouldn't surprise me if I end up getting in the distant future another bottle of this one. I recommend it with some limitations. 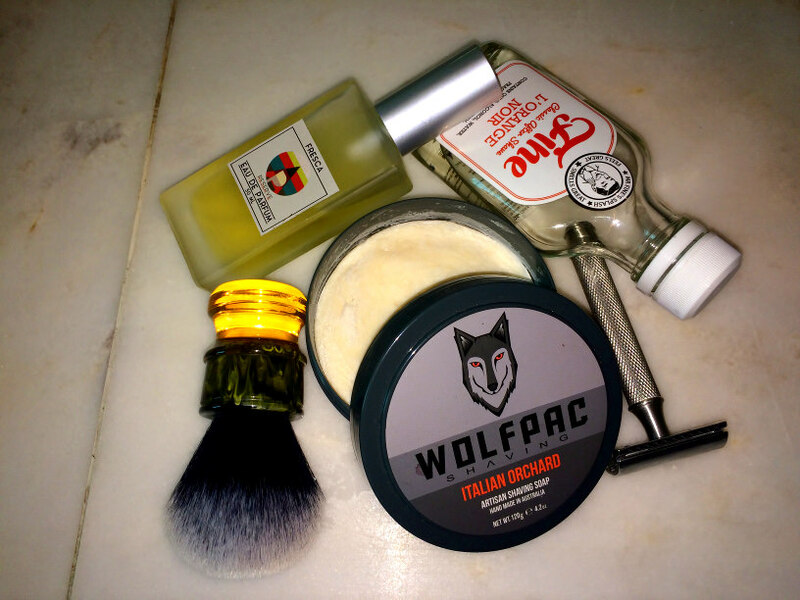 You need to like alcoholic splashes, with orange scents, and have a good skin (and not cut yourself half a dozen times per shave, on average). If everything stated above is ok, then I certainly recommend it. You can of course add to your routine a balm to help nourishing and caring the skin, or just have different splashes in your rotation with better skin properties so your skin get eventually what it need. The company is well positioned in the global market. In Oz you can get it at least from TSW (where I got it). Hope you enjoy reading it as much as I enjoyed reviewing it mates!